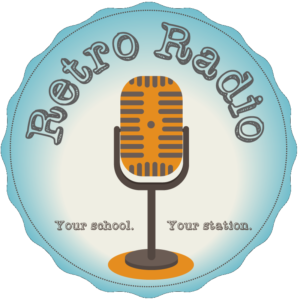 Retro Radio is the school podcast for Cannington Community ESC; a digital platform used to broadcast school news, upcoming events, student achievements, entertainment and humour. The Retro Radio podcast is produced by students – for students; hence our slogan: Your school. Your station. This means students are involved in the whole process, from investigating news in the school and conducting interviews to writing and recording the radio scripts. How is a podcast different to radio? A podcast is very much like a radio show; however, instead of being broadcast live, a podcast is pre-recorded and then distributed over the internet so that you can download and listen to it whenever you please. Podcasts are recorded as digital audio files (which means there is no video – only sound) and uploaded to a “hosting platform” so that you can listen to it. In our case, we upload our episodes to the Retro Radio website for you to listen to at any time. Currently there are thousands of podcasts available online on any topic you can imagine. Podcasts are popular these days because they offer listeners an alternative listening experience to the standard radio stations, including the opportunity to listen to a specific topic that interests you and the flexibility to listen at a time that suits you (e.g. driving home from work). Many podcasts do not include commercial advertising, which is also a bonus. How do we make the podcast? Students take turns to investigate what is happening in their school, arrange and conduct interviews, and research topics that suit their interests. Students collaborate with peers in team meetings to decide what constitutes the most “newsworthy” news, to report on school news, events, and weather. Students will also research and produce a special segment that covers an idea represented within popular culture (for example, music, sports, TV, apps, concerts, websites, and current affairs). Students will seek feedback from each podcast to reflect on what went well and what can be improved on next time. If you have a question about Retro Radio or want to know more about the podcast initiative, then please email Rachael at Rachael.Jones@education.wa.edu.au or contact the school directly on 9351 2480.